Prime Solutions has been a center for certification for over a decade. 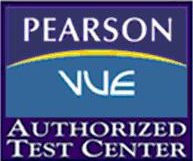 Our location is conveniently located to minimize travel time and expense for busy test takers. We partner with world leaders in this space and have all the key testing and certification providers give our clients the very best in this domain. Our state of the art test facility has received many compliments, and is continually upgraded to keep abreast of requirements in terms of accreditation, authentication and exam delivery expertise on par with the best anywhere. Please click on either the link provided or the company’s logo to view the variety of options available from the world’s leading testing organizations. Prime Solutions offers training and testing in a lot of technologies. In an effort to keep our talent pool at the forefront of innovation we constantly train our team in new tools, processes and technologies. This is one of the core assets and a true differentiator that Prime Solutions has and is proud of. This also helps in meeting the ever growing needs of our clients.